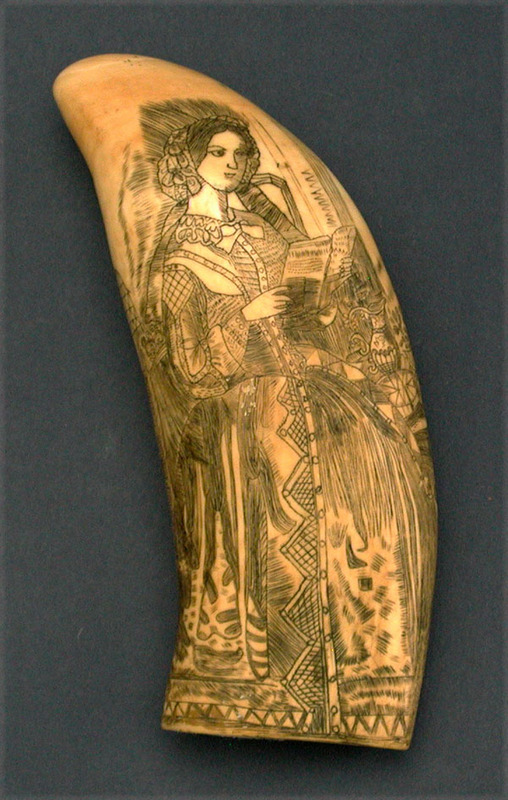 EARLY SCRIMSHAW TOOTH ELABORATELY ENGRAVED on one side with a very detailed interior scene that depicts a beautifully dressed young woman seated by a table as she reads a book. 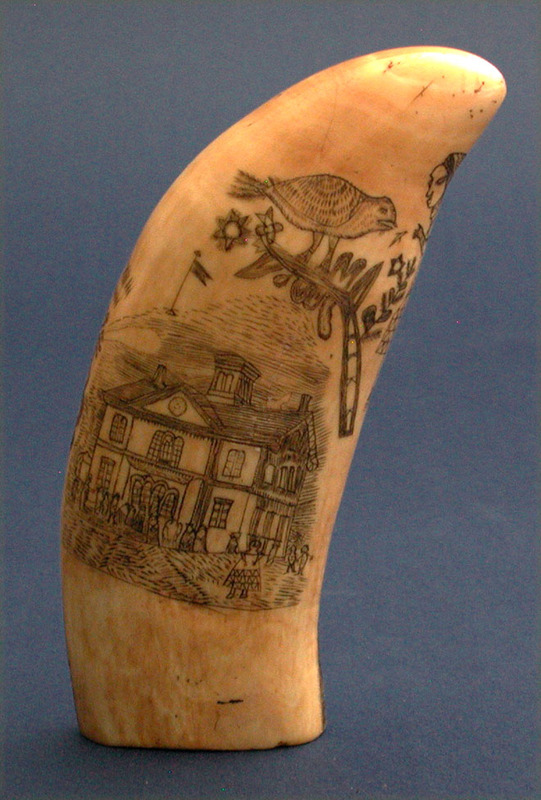 The reverse with a stately home that has numerous children in the front yard. Also depicted is an awkward child feeding a large bird. A nearly solid tooth that measures 5 1/2" h. Condition excellent. Fabulous deep age color throughout. Circa 1830-40.